Being the author of a New York Times bestselling-book on diet and health apparently isn’t enough to save you from a sweet tooth. No matter how dialed in my diet is, I have to confess there are still days when I just want to dive head first into chocolate. Those are the moments I’m so grateful for these black bean brownies. See, enjoying a sweet treat doesn’t have to derail your weight loss plans. 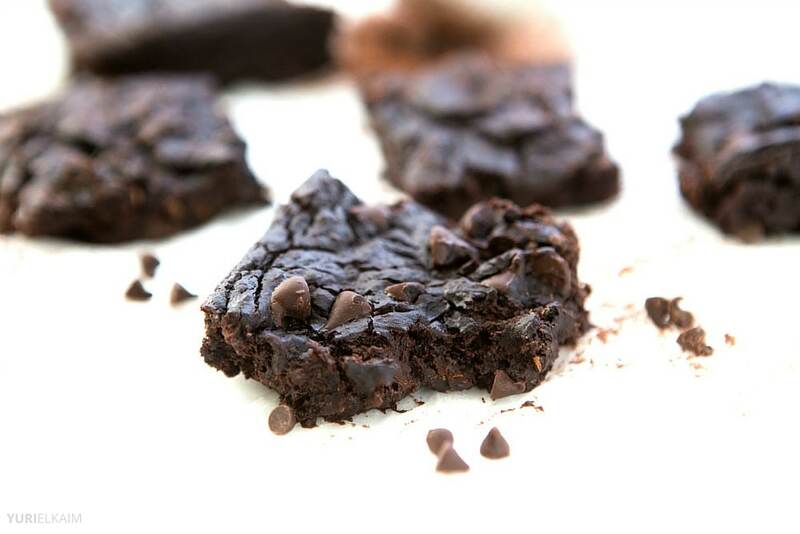 This black bean brownie recipe is excellent proof that you can get all of the good stuff without eating any of the bad, all while enjoying yourself! 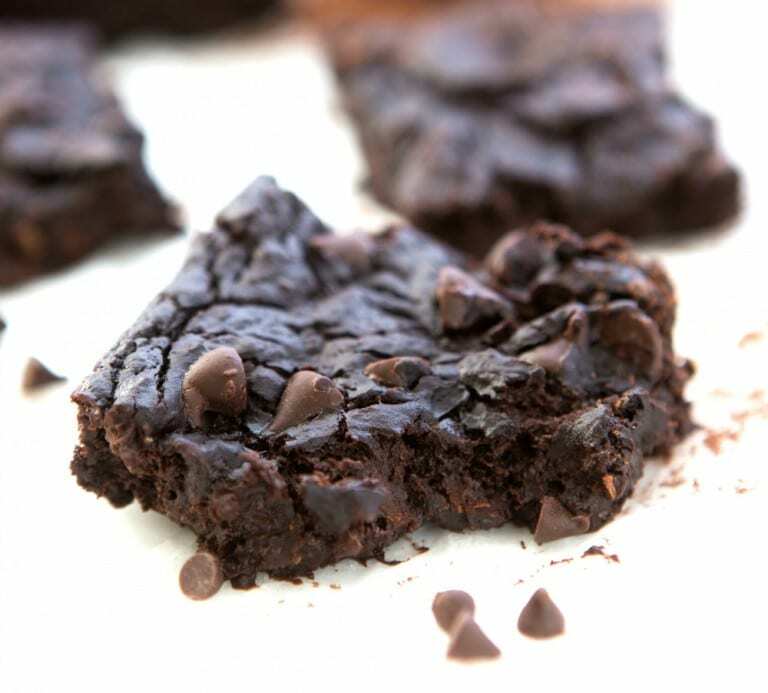 Gluten-free, full of plant-based fiber and healthy fats, this black bean brownie recipe makes clever use the last ingredients you’d ever expect to bake up a batch of the most moist, gooey chocolate brownies you’ve ever eaten. Those special ingredients? Black beans and avocados. It may sound odd, but you seriously won’t even taste the addition of these unconventional ingredients; it’s just 100% satisfying chocolatey goodness in every bite. To add an extra pop of melted chocolate in every bite of these black bean brownies, I’ve included a final stir-in of vegan chocolate chips. My favorite brand is Enjoy Life!, but you can buy other options online. Alternately, you can swap in very dark chocolate, chopped into small pieces. Just steer clear of traditional sugar sweetened chips, which are generally a little cheaper, but only because they’re made with cheap chocolate and other additives. You can prep this recipe in a food processor, but if you’ve got an industrial-strength blender like a Vitamix or Blendtec, whip it out! It may seem odd to prep a batch of brownies in the blender, but these high-speed machines make quick work of this recipe. Simply pop everything into your blender, cover with a lid and grab your tamper tool. You’ll need to press down on the batter several times as it blends to get it totally smooth. 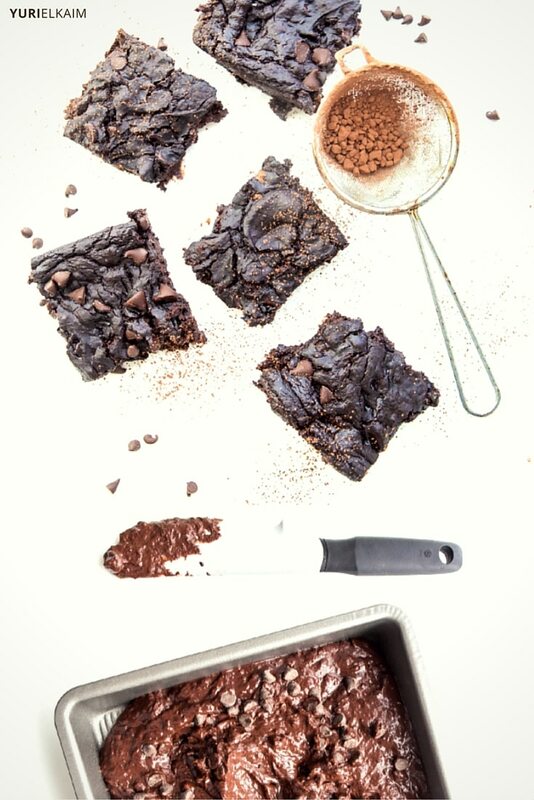 Make yourself a deliciously healthy snack by sneaking black beans and avocado into these rich, fudgy brownies. Preheat oven to 350 degrees. Spray an 8x8” baking pan with nonstick coconut oil spray. 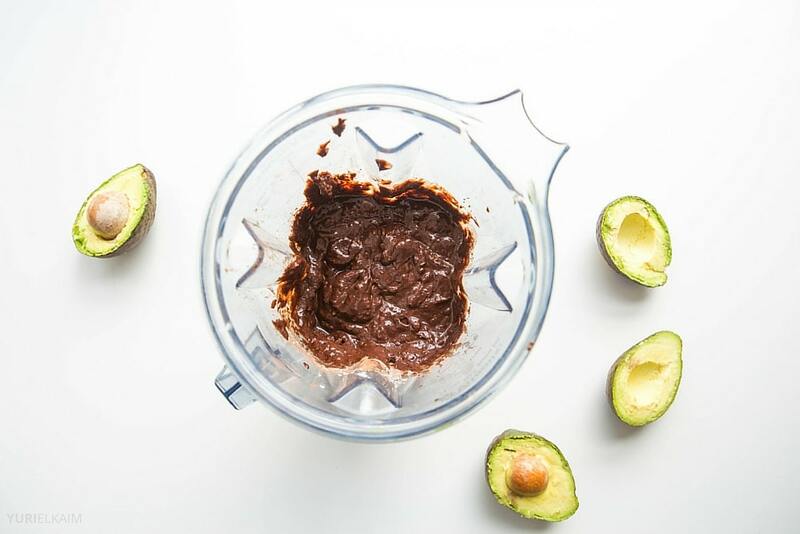 In a high-speed blender or food processor, combine egg, black beans, avocado, vanilla, coconut sugar, cocoa powder, coconut oil and baking powder. Mix until a soft batter forms. Fold in chocolate chips. Pour batter into prepared pan. Bake for 25-30 minutes, or until the center of the brownies is set.